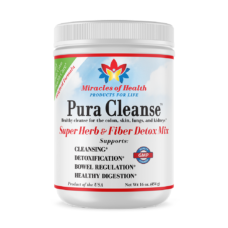 Pura Cleanse is a natural, gentle and effective combination of 36 herbs and fiber that supports bowel regulation and healthy digestion while supporting the elimination of waste and toxins so you can feel better, lighter, and more energized. 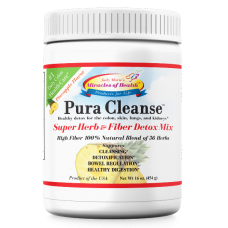 Pura Cleanse absorbs into the toxic layers of your colon, assisting in breaking down and removing excess waste one layer at a time. 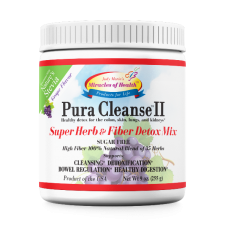 Pura Cleanse II, unlike the original formula, does not contain fructose or senna. The removal of fructose is great for those who are considering a low carbohydrate or sugar free diet. 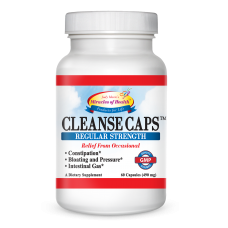 Extra Strength Cleanse Caps can help with stubborn causes of occasional constipation or constipation caused by medication. 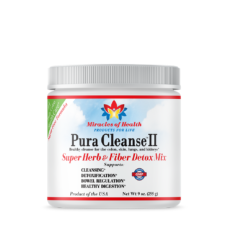 Herbal Cleanse Caps are a natural laxative and mild colon cleanser. The combination of ingredients in Cleanse Caps is effective in promoting bowel movements in sluggish colons. Generally produces bowel movement in 6 to 12 hours. 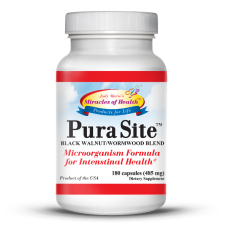 Pura Site is an advanced microorganism cleansing formula that promotes balance of intestinal microbes made with herbs to provide targeted support and assist the body with the detoxification of intestinal microbes as well as promote a healthy digestive system. 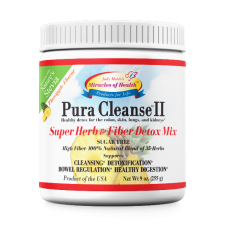 It is formulated to effectively help combat many conditions people are suffering from due to a microorganism that grow, feed and obtain nourishment and protection while offering no benefit to its host.